KUCHING: Chief Minister Datuk Patinggi Abang Johari Tun Openg wants Sarawakians to be innovative by creating an oil palm harvester. Closing the WorldSkills Malaysia Sarawak 2017 today, he said the state was facing labour issues in the oil palm sector. He believed that with the innovation of an oil palm harvester, the problem of shortage of manpower can be addressed. “I am willing to fund the research for an oil palm harvester because oil palm is one of our main industries. 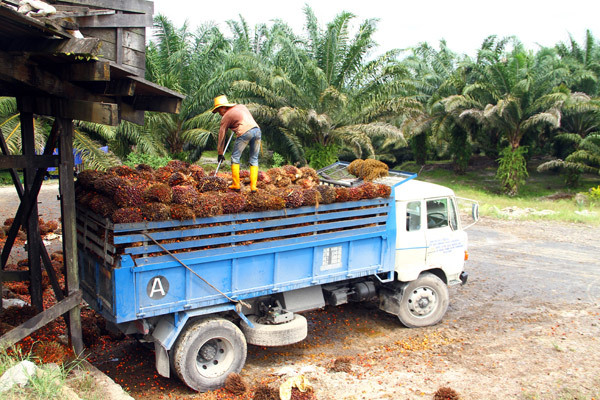 “We need to pluck oil palm fruits and artificial intelligence can help achieve this. If the fruits are not ripe, a red signal is sent; if the fruits are semi ripe, a yellow signal is sent; if the fruits are ripe, they can be plucked,” he said at the closing ceremony of the event at the Borneo Convention Centre Kuching. Abang Johari subsequently challenged Swinburne University of Technology Sarawak and Melbourne campuses to create such an oil palm harvester. “I challenge Swinburne in Sarawak and in Melbourne to create it to pluck oil palm fruits. Because of issues pertaining to workers, we have to find alternative solution,” he added.